Did you like that car ad? Sometimes, the best answers to that question aren’t spoken. Instead, they’re lying beneath the surface within a person’s psyche. Now, auto advertisers, who drop billions each year on TV ads, can tap into a person’s subconscious to find out if commercials are resonating emotionally. Triggering a strong emotional reaction is crucial for advertisers because it activates the brain’s memory centers and could be the gateway to a sale. Automakers and ad agencies turn to consumer neuroscience researchers such as Innerscope to dive into the minds of potential buyers. Nielsen, known for its TV ratings data, is another player in a growing consumer neuroscience world that Marci says has started to take off in the last five years. Marci defines the practice as the application of neuroscience to marketing and media research. Consumer neuroscience firms use tools from health care, biotechnology or academic research to access the brain’s “nonconscious” processing. 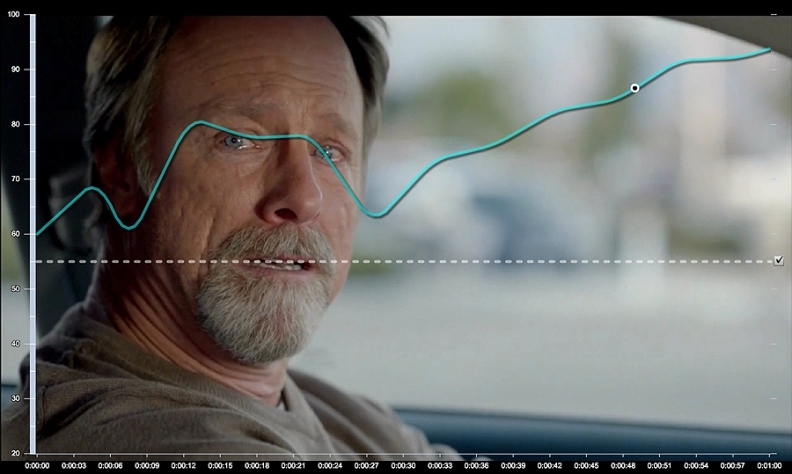 While delving into these nonconscious zones during an October examination, Innerscope said that Buick’s heavily run “Hmm” spot generated some of the highest levels of emotional engagement it has ever recorded. The spot shows a host of confused people who refuse to believe that they’re looking at Buicks. The firm measured the “biometric signals” such as heart rate and breathing patterns of 40 people to gauge the ad’s effectiveness. Marci said the spot crossed generations and was well-branded, with 10 mentions of “Buick” within 30 seconds. Innerscope wasn’t paid by Buick for the research. Kathleen Kennedy, research labs director for the University of Akron’s Suarez Applied Marketing Research Laboratories, wrote in an email, “Our research shows that in making auto buying decisions, consumers are influenced by deep emotional and sensory responses they are not aware of and can’t articulate. One drawback of consumer neuroscience, Kennedy wrote, is that it can be a larger investment in time and money than traditional techniques such as online surveys. The Suarez laboratories, established in 2008, develop techniques for marketing research. Eye-tracking: Tracking visual attention to see where people are looking on a TV ad, print ad, Web page or a car. Facial coding: Examining the expressions people make. EEG, or electroencephalograph: Measuring brain waves, which tracks conscious mental activities such as thinking, understanding, learning and remembering. Marci said all of these tools tap into something about the consumer without asking questions or interrupting viewing. Emotional connections, according to Innerscope, simultaneously activate areas of the brain connected to memory and decision-making. High emotional engagement elicits increased activity in parts of the brain that control emotional relevance, sensory integration, memory formation and decision-making. Before consumer neuroscience, most ad research relied on asking people questions directly. This was problematic because of biases that people harbor, Marci says. For example, the “pleasing” bias arises when someone says whatever the researcher wants to hear. With social biases, people say what they think they’re supposed to say rather than how they actually feel. Then there are recall biases in which people don’t remember something accurately, so they fill in the gaps by making things up. But now researchers can “go deeper and get a look inside” the “hearts and minds” of consumers, Marci said. Innerscope still asks questions, but they’re integrated into a more refined process than in the past. 1. TV ad testing, including pretesting before an ad’s release. 2. Best practices exercises after a commercial’s release, in which companies find out how well the spot worked. 3. Car clinics in which vehicles are evaluated before release. Here is how Dr. Carl Marci, co-founder of neuroscience company Innerscope Research, rated the emotional response generated by a sample of Super Bowl commercials last month. Spots built on soft, heartwarming messages, humor and celebrities played well. Toyota's “My Bold Dad” spot, which followed a father and daughter as he dropped her off for military duty, played well on an emotional level for consumers. Kia's humorous Sorento spot drew strong reactions from study participants as Pierce Brosnan heard an ad pitch from an agent. Still an action hero at heart, Brosnan kept trying to add suspense to the equation -- only to be let down each time. Mercedes-Benz's edgy take on the classic tortoise vs. hare race, “Fable,” wasn't coherent. Jeep's “Beautiful Lands” was poorly branded. Also growing is looking at advertising on mobile platforms such as tablets and smartphones. Other applications for consumer neuroscience could potentially come in handy during car buying, said Moran Cerf, professor of marketing and neuroscience at Northwestern University’s Kellogg School of Management. For instance, neuroscience researchers could monitor brain waves of shoppers as they interact with dealers. Then the salespeople could understand what worked with the customer, Cerf said. While the consumer neuroscience field forges ahead, Cerf said he understands that some people may feel uneasy about the methods. 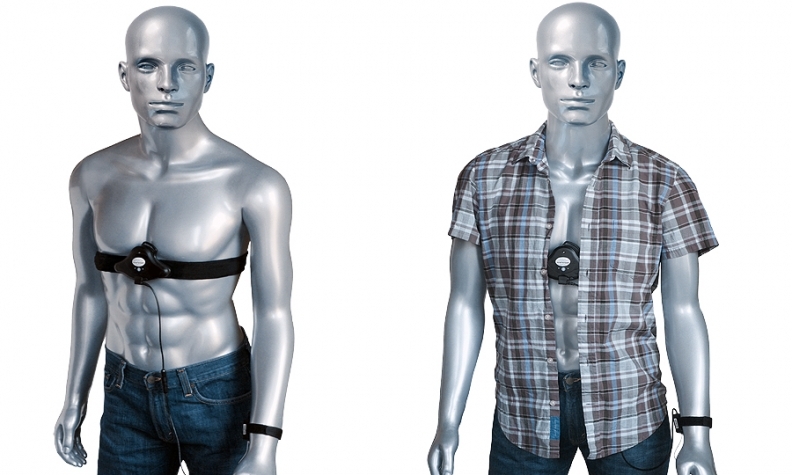 Study participants use these biometric belts to monitor reactions to advertisements. While consumers dealt with the 2008-09 recession, Innerscope noticed that auto advertisements were losing emotional impact. Consumers were struggling to make ends meet, so a car wasn’t in their plans. Car sales tanked, and the emotional responses to auto ads dropped as well. But Marci said there was a standout during this era. Hyundai shined with its 2009 Super Bowl ad touting its Assurance program that let people return their vehicles if they lost their jobs within six months of buying.